It was the time for the 24’Th annual celebration of food and wine to benefit Schoolcraft College students and the Culinary Arts Program. The event is held at the VisTaTech Center/Waterman Wing of Schoolcraft College, which may be the finest array of kitchens that most of the graduates will ever work at, as they learn the skills necessary for their chosen careers. My Bride and I have only missed a couple of these events over the last twenty years and it was always because of other dates that had usurped the event, as we are strong supporters of the graduates and what the college stands for. The Culinary Extravaganza is three hours of fine dining and the chance of having some new beverages to try. Most of the tables represent different restaurants, hotels and catering companies, where past graduates of the college are now employed. Each table offers a small, usually two bite dish, for the people to try. It may not sound like much, but after three hours of this type of “grazing” one leaves totally sated and happy. Some of the restaurants that were there I have written about in the past like the Detroit Athletic Club, Karl’s Cabin, No. VI Chophouse, and the Sardine Room. Some of the restaurants I still have not written about, and eventually will are: 5ive Restaurant at The Inn at St. John’s, Coach Insignia, Cuisine Restaurant, Steve & Rocky’s and The Root Restaurant and Bar. Then there are also a couple of restaurants that will be slated to try in the future, as some times there just doesn’t seem to be enough time to get everywhere. One of the new things that I noticed this year, as compared to years past, was the fact that the Wine Sponsor for the Culinary Extravaganza 2015 was MGM Grand Detroit. This was a wonderful change from years past, as it seems that there was many different wine distributors and they just donated anything that they wanted to get rid of, it seemed in some years. This year, it seems that all of the wines were from Eagle Eye Brands and they did a stellar job of supplying a vast array of assorted wines, from different countries, different varietals and not just wines from the bottom rungs of what they had to offer. All of the wines were good medium priced wines, that most people may order when they are out for dinner, and they were not the run of the mill “popular” labels. Before even entering the main room of the Extravaganza, we picked up our tray and wine glass. The tray is a small square plastic item, which is perfect to hold the individual plates of food that were to be offered by all of the restaurant vendors at the affair. The tray also has a groove cut out in one corner, so that one can rest the wine glass safely in place, while sampling the food. It is a very well designed and simple piece that works wonderfully in this type of setting. Also outside of the main room was the first table offering wines, and they were American wines that were very easy for anyone there to understand and to try. The first wine that I tried was from Cru Wine Company, which originally was founded in 2003 as Mariposa Wine Company. 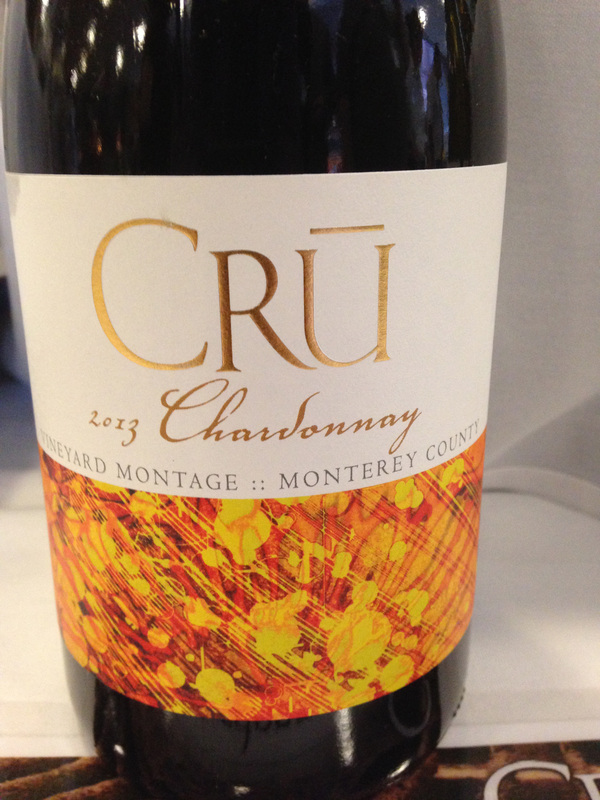 The Cru Chardonnay 2013 was a great way to start off the event, as the fruit came from the Vineyard Montage from Monterey County and I really enjoy most of the wines that I have had from the Monterey area. My Bride and I would each have a different wine at the tables and then try each other’s glass, as a way of sampling more wines in the short period of time. 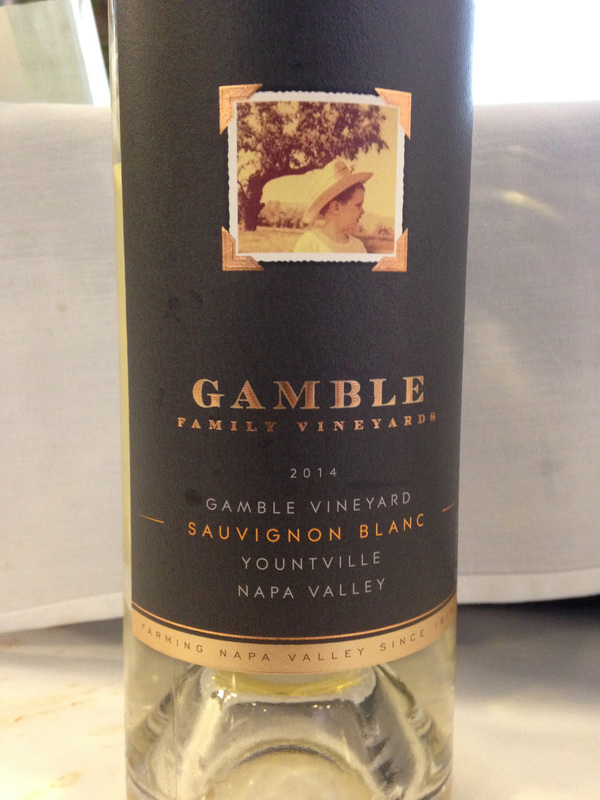 The other white wine that we tried was Gamble Family Vineyard Sauvignon Blanc 2014 from Yountville AVA and from the Gamble Vineyard, and the fruit came from clones from the Loire Valley and from Graves, two historically famous areas for Sauvignon Blanc. We also tried two red wines, while we were there. 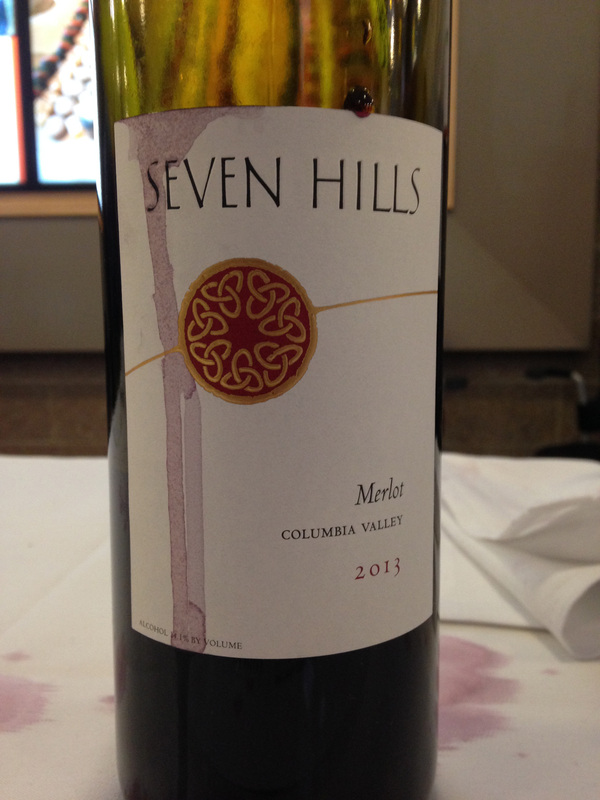 Seven Hills Winery Merlot 2013 was from Columbia Valley AVA in Oregon. This was a good dependable Merlot sourced from one of the largest AVA regions in the country. 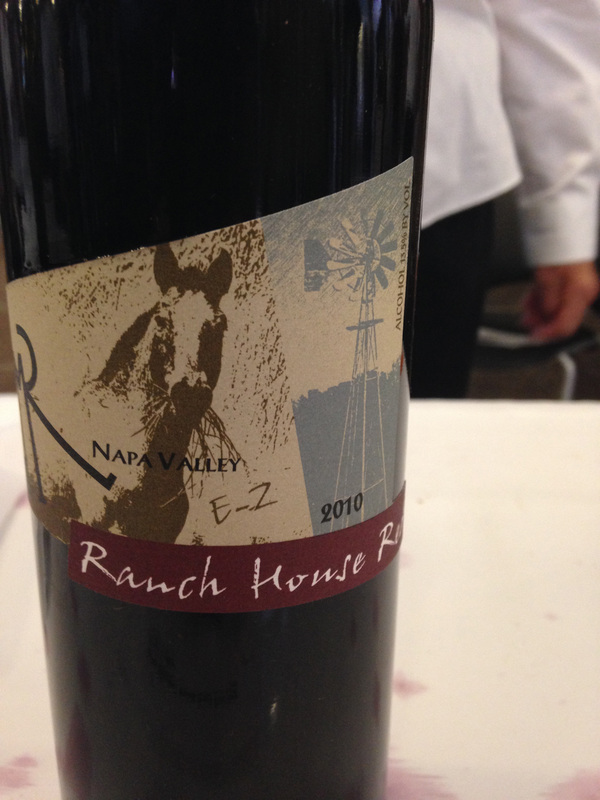 The other red wine was Ranch House Red 2010 from Long Meadow Ranch Winery of St. Helena in Napa Valley. This was a fun proprietary red wine which was a blend of Cabernet Sauvignon, Merlot, Sangiovese and Petite Syrah. Just some nice wines to get our tastes buds wetted and our appetite whetted for the dishes and other wines that awaited us inside of the main room. This entry was posted in Dining, Wine and tagged Cabernet Sauvignon, Chardonnay, Columbia Valley, Cru Wine Company, Gamble Family Vineyard, Long Meadow Ranch Winery, Mariposa Wine Company, Merlot, Monterey County, Napa Valley, Oregon, Petite Sirah, Ranch House Red, Sangiovese, Sauvignon Blanc, Seven Hills Winery, Vineyard Montage, Yountville. Bookmark the permalink.